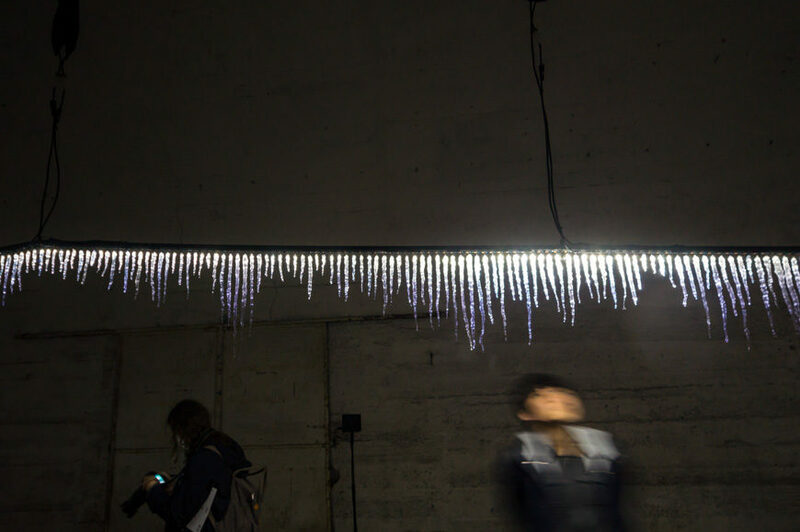 At Milan Design Week 2019, Japanese design firm TAKT PROJECT, led by Satoshi Yoshiizumi, presents an intriguing lighting installation called “glow ⇄ grow”. 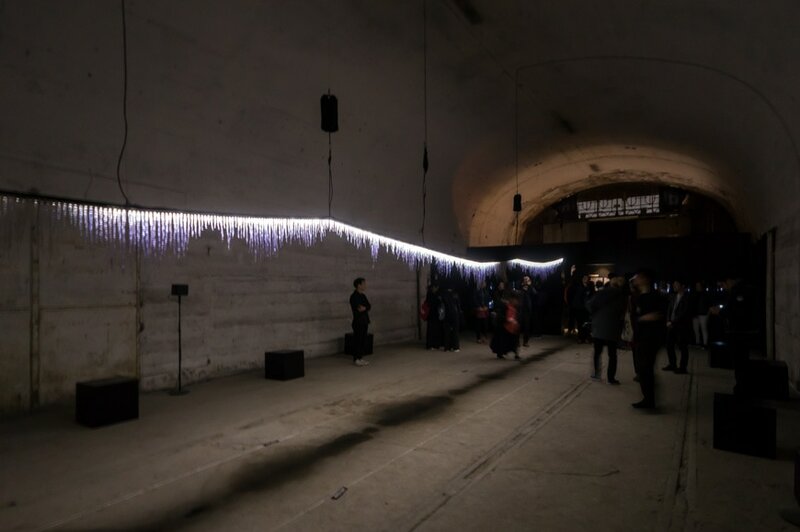 Part of the program of Ventura Centrale, the installation consists of a sequence of luminous “stalactites”, made in clear resin, hanging from the ceiling in the vaulted space of the former warehouses on the ground floor of the Milano Centrale railway station, in via Ferrante Aporti. 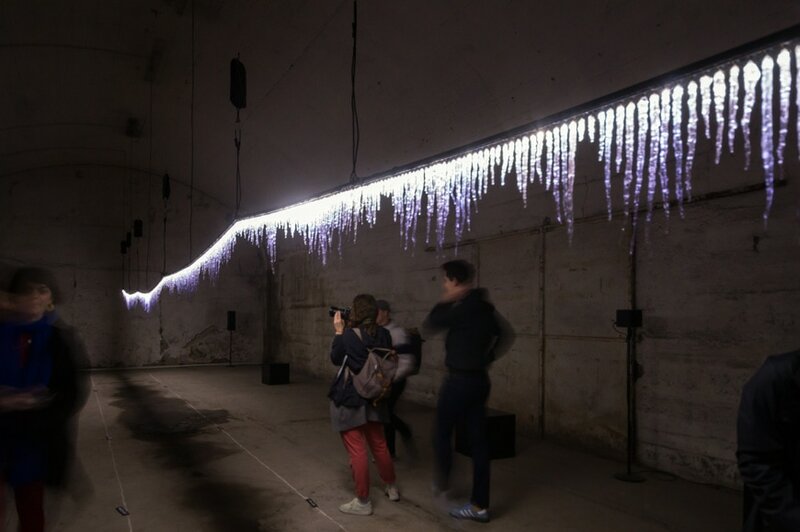 As Yoshiizumi says, the installation is aimed to explore the blurred boundary between natural and artificial. “Grows by glowing, evolves its glow by growing. It is a design of a process, a function that generates new functions, rather than a design of a completed form. The light-hardening resin (is) solidified by the light emitted by a programmed LED, with the LED itself continuously changing its glow. 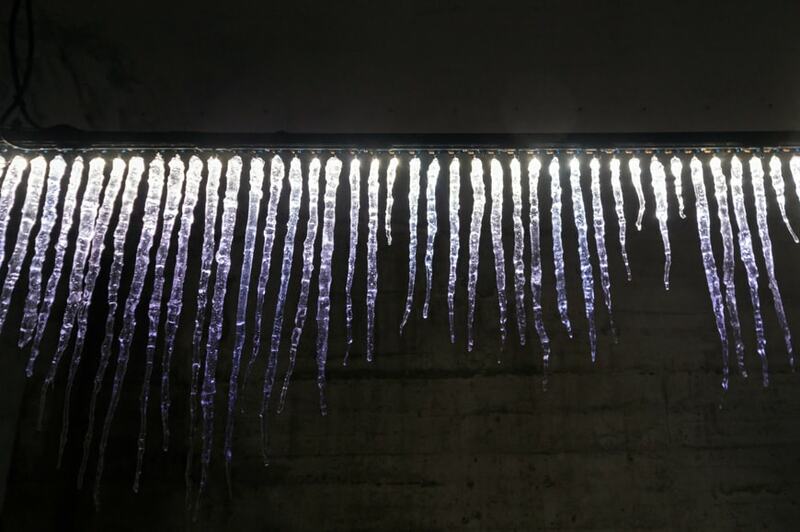 The resin growing like ice pillars or a limestone cave shows various expressions by the lighting and grows into a new shape from the emitted light. It is not an imitation of nature, but a process of artificial and natural integration that incorporates the principle of nature into artificial operation. Established in 2013, TAKT PROJECT is a design studio based in Tokyo, led by Satoshi Yoshiizumi. The studio has been carrying out self-driven research projects – experiments aimed at destabilizing existing frameworks – whose results have been presented at museums and design events internationally, including Milan Design Week, Design Miami, the Museum of Decorative Arts in Paris, and the M+ museum in Hong Kong. Based on the results of its research, the studio develops, in collaboration with its clients, projects aimed to create “envisioned possibilities”.